Maitland is a town in South Australia and is located near the Yorke Peninsula. The Maitland city lies in the lower Hunter region, few hours north of Sydney and is half an hour from Wine Country. There are many attractive spots for shopping and dining and Maitland is also a major crowd pulling tourist destination. The original inhabitants of Maitland city were the Baiame tribes who were the actual owners of the Hunter Valley. The European settlements started in the region in the 19th century. Since the 1820’s the central parts of Maitland have been the industrial hub of the region with lots of industries being established here. The city of Maitland was named in honour of Lady Jean Maitland, the wife of the First Lord of Kilkerran. Many buildings of the past are still present in the city which date back to 170 years. The Hunter River has always played a significant role in the development of Maitland city. The Maitland city was greatly devastated by the floods in the region which have occurred from time-to-time and caused great havoc. The Maitland city has developed itself greatly from that state to and has emerged as one of the popular tourist destinations. Maitland has a tropical type of climate with average summer temperatures of 35ºC or more and winter temperatures dropping down to 10ºC or lesser. The average rainfall is about 130mm in a year and August is the wettest month. Maitland is a well-developed area which is accessible by rail, road, air and train services. Maitland is linked to all major Australian cities of Dubbo, Brisbane and others through an extensive road network which runs in all directions. Four XPT CountryLink rails ply to and fro from Sydney on a regular basis. Cityrails operate from Maitland to Sydney, Hamilton, Victoria Street, Telarah, Thornton and Beresfield and connect the nearby cities to the main city. Maitland Airport has charter plane services from Rutherford. 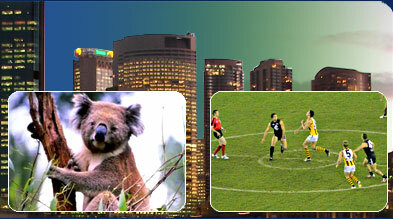 It has regular direct and connecting plane services from the Australian capital cities. Maitland city in Hunter Valley strives hard to maintain the artistic and cultural diversity of the region by the live theatres and special artistic performances. The Maitland Regional Art Gallery conducts high quality international and Australian arts exhibitions, workshops and seminars. The Maitland Arts Council, Maitland Repertory Society and Maitland Gilbert and Sullivan and Musical Society together promote the art and culture of the region and provide entertainment options. Maitland also has multi-theatre cinema complex and a vibrating night life which provides entertainment. Maitland also has extensive shopping areas and one can find unique and excellent fashionable items, local products, wine, gifts and accessories. Maitland also has a wide variety of restaurants and cafes which offer all kinds of Thai, Chinese, Mexican, Indian, Italian and international cuisine. Some of the popular ones are The Old George, Dragon at East Maitland, The Table at Greta and Angels Inn Restaurant among many others.